We have a well equipped AC drive repair center at our office, with trained and experienced engineers with vast exposure to AC drives. We can repair all drives be it ABB, yashkawa, Danfoss, mitsubishi, delta, Siemens etc. Continued investment in electronic repairs has produced a high quality repair facility tailored to meet the demands of manufacturers and end-users alike. Our drives lab gives us the facilities to repair a variety of electronic drives from transistor and thyristor drives through to the latest digital drives. We are offering Servo Drive Repairing Services is one of the leading supplier of AC / DC Drive, Servo Drives / motors in India. 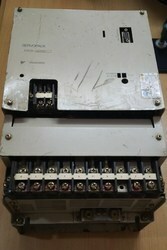 We also Deal in Repairing of Control Panel, Soft Starters, PLC's and Instrumentations. We also undertake repairing job for above mentioned products from all over India. We have well Qualified and expert service engineers who are capable to do any type of repair work. 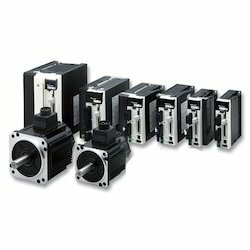 We are one of the leading national service providers and have 15 years experience in the field of servo motors. We offer Servo Drive Repairing Service to our esteemed client at market leading price. We are looking queries from Ankleshwar, Bharuch, Vapi & Surat. Since our inception, we are instrumental in offering professionally managed Lenze Servo Drive Repairing Service. Star Automation is authorized dealer for Sigma II servo pack repair service. When you need a repair, our in-house, experienced technicians offer fast and reliable repair service on most FANUC servo and spindle drives, servo and spindle motors, power supplies and many PCBs for FANUC CNC controls including System 3, 5, 6, 10, 11, 12 and FANUC Series 0, 16, 18, 21, and 15 in-house. Best quality of Servo Drive Repair is provided by us to customers as per their requirements. Backed by our skilled professionals, we are involved in providing Servo Drive Repair Service.